On 19th April, Syakar Trading Company Pvt. Ltd. (STC), the authorized distributor for Honda motorcycle & scooter in Nepal and Jyoti Group celebrated 50 Years of Honda in Nepal. So, on this auspicious occasion of our Golden Jubilee in completing 50 years in, we have announced some amazing schemes for you. This time, it’s a bit different to what you might expect it to be. 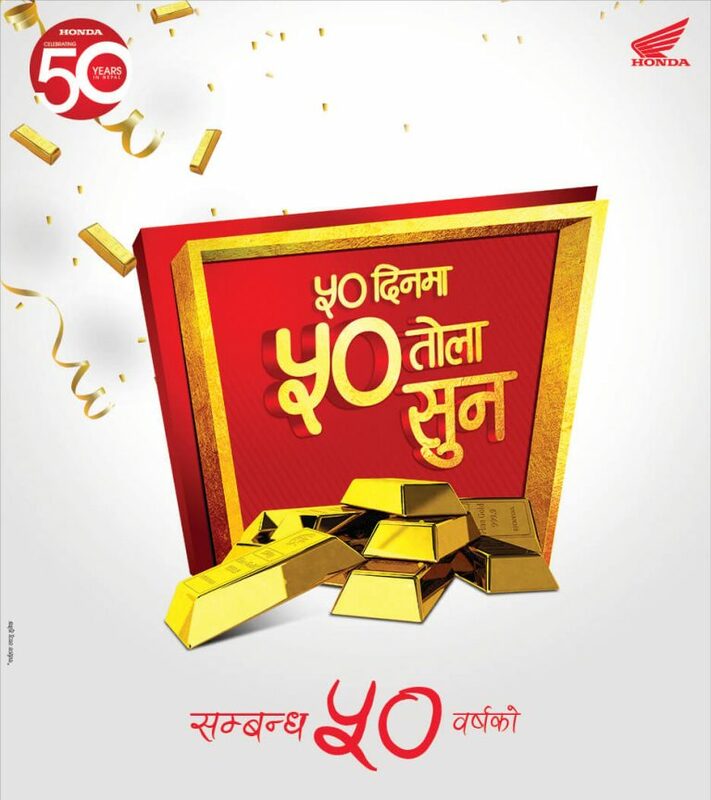 To celebrate this journey of 50 Years, Honda has come up with “50 Din Ma 50 Tola Sun” scheme, in which on purchase of any Honda Motorcycle or Scooter, customers get a chance to win 50 Tola Gold in 50 days. Along with this, they will also get a scratch coupon from which they can get cash discount from Rs. 4000 upto Rs. 1 Lakh! So, don’t wait. You might be that lucky one!